Jersey Shore Family Vacation premiere brings in HUGE ratings for MTV! Jersey Shore enjoyed a triumphant return to MTV Thursday night at both hours of the Jersey Shore Family Vacation premiere brought in HUUUUUUGE ratings for the network! Jersey Shore returning in 2018 for new season, but minus one cast member? We finally know what the Jersey Shore cast was filming together in those photos leaked online -- a Burger King commercial! Actually, it's way more than a commercial as the entire crew (sans Ronnie) reunite and catch for more than five minutes -- and it's clear that the chemistry that made Jersey Shore one of the biggest reality show phenomenons of all time is still there. As we reported yesterday, all indications are that we can expect a Jersey Shore reunion of some kind soon. 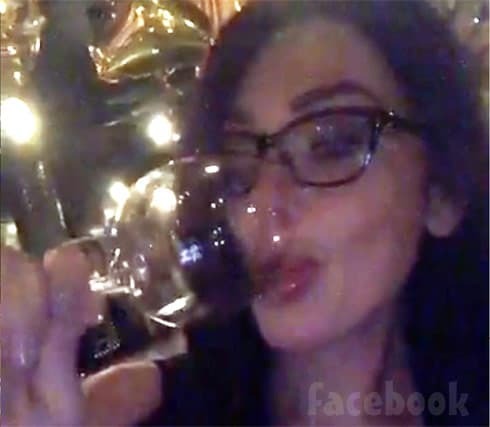 Last night, the meatball squad of Jenni "JWoww" Farley, Nicole "Snooki" Polizzi, Sami "Sweetheart" Giancola, and Denna Nicole Cortese met up at STK in New York City to talk about the nuts and bolts of making the reunion happen, and after downing a few glasses of wine, JWoww took to Facebook Live to update fans with a hilarious throwback "white girl drunk" video! PHOTOS The Jersey Shore Reunion is happening!? Get all the details! 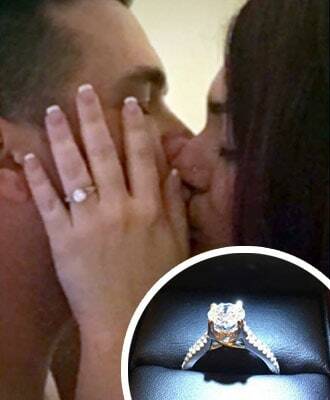 Former Jersey Shore star Deena Cortese announced this weekend that her boyfriend Christopher Buckner popped the question during a night-time beach stroll while the two were on vacation in Mexico over the weekend. See lots of photos of the happy couple as well as Deena's engagement ring, and read Deena's swoony commentary about the proposal and her fiance! JWoww wedding photos! Her dress, Jersey Shore co-stars and more! It's been three days since former Jersey Shore star Jenni "JWoww" Farley tied the knot with her fiance Roger Mathews in a lavish ceremony in New Jersey on Sunda, and we FINALLY have a photo of JWoww in her wedding dress! Also, we've gathered together TONS of photos from those in attendance, including all of JWoww's Jersey Shore co-stars (minus The Situation) looking dazzling!